A Labrador dog is a wonderful breed that has many great qualities. You need to know all information regarding the Labrador breed before you decide to make a commitment. Size – Labradors have a medium build and grow up to 22 ½” at the shoulders. They weigh between 55 – 75 pounds. Temperament – The Labrador dog is friendly, lovable, loyal, and independent. They are not aggressive or shy. That being said, some Labs, particularly in their first few years, can have high strung qualities if not properly exercised or trained. Life Span – the average lifespan of a Labrador is 12 – 14 years. Health – Labradors are a relatively healthy breed, but they are prone to some hereditary problems such as hip and elbow dysplasia. They are also at risk of eye problems like cataracts. Grooming – Labradors have a short coat that is water resistant, and is thick and dense. They do a good job at keeping themselves clean, but should be brushed every two weeks, and more often during shedding season. Labs shed quite a bit, especially twice a year when growing and shedding their coat. Social Skills – Labradors are incredibly social and get along with everyone. They adore children and adults equally. Labs are even friendly with visitors. This makes them a poor guard dog. Home life – The Labrador dog can thrive both in the country and city. However, if living in the city, they should be in a house that has a decent sized backyard. Exercise – Labs require plenty of exercise. They should be taken on 20 – 30 minute walks at least twice, daily. Furthermore, you need to provide them with plenty of playtime. In addition, keep in mind that this breed loves to swim, which is also great exercise. 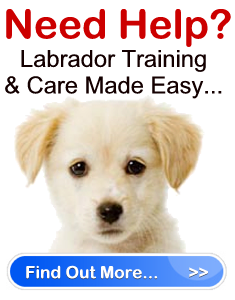 Training – Labradors are easy to train because they are quick learners. You should enroll them in obedience training if you want them to develop as a credit to their breed. Dog Group – The Labrador is recognized in the Gundog/Sporting group. These dog breeds are known for their tracking skills and hunting abilities. They have impeccable smell, and are exceptionally skilled at retrieving. Other Pets – Labs are friendly and accepting of other family pets. First Time Dog Owner – Labradors are a fine choice for first time dog owners. Just make sure you do plenty of research and are ready to make the commitment. A good idea is to talk to other Lab owners to find out what you are getting into.